This study uses new arguments to reinvestigate the relation between aesthetics and politics in the contemporary debates on democratic theory and radical democracy. 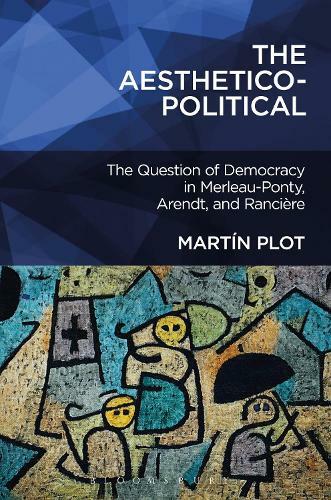 First, Carl Schmitt and Claude Lefort help delineate the contours of an aesthetico-political understanding of democracy, which is developed further by studying Merleau-Ponty, Ranciere, and Arendt. The ideas of Merleau-Ponty serve to establish a general "ontological" framework that aims to contest the dominant currents in contemporary democratic theory. It is argued that Merleau-Ponty, Arendt, and Ranciere share a general understanding of the political as the contingently contested spaces and times of appearances. However, the articulation of their thought leads to reconsider and explore under-theorized as well as controversial dimensions of their work. This search for new connections between the political and the aesthetic thought of Arendt and Merleau-Ponty on one hand and the current widespread interest in Ranciere's aesthetic politics on the other make this book a unique study that will appeal to anyone who is interested in political theory and contemporary continental philosophy.